China’s current social medical insurance system has nominally covered more than 95 per cent of 1.4 billion population in China and is moving towards the ambitious goal of universal health insurance coverage. Challenges posed by a rapidly ageing population, an inherently discriminatory design of the health insurance system, the disorder of drug distribution system and an immature legal system constrain the Chinese government from realizing its goal of universal health insurance coverage in the long run. 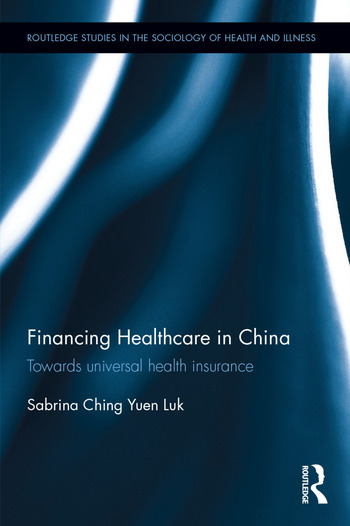 This book uses a refined version of historical institutionalism to critically examine China's pathway to universal health insurance coverage since the mid-1980s. It pays crucial attention to the processes of transforming China's healthcare financing system into the basic social medical insurance system alongside rapid socio-economic changes. Financing Healthcare in China will interest researchers and government and think-tank officials interested in the state of healthcare reforms in China. Healthcare specialists outside of East Asia may also be interested in its general study of healthcare in developing countries. Scholars and students interested in the healthcare field will also find this useful. Sabrina Ching Yuen Luk is Associate Professor at the Faculty of Management and Economics, Kunming University of Science and Technology, China.